I was given the opportunity to try some products from Girls With Attitude. I must admit I was a little apprehensive as I am not really good with fiddly things and Nail Art, but when they arrived through the letterbox I found them too pretty to resist! As I have tiny little hands and nails, these kits don't fit me so I let my sister try them out. The pack comes with 24 assorted size nails so should fit most people. I was disappointed I couldn't wear them myself as they looked fantastic, but I loved admiring my sister's nails once they were done. 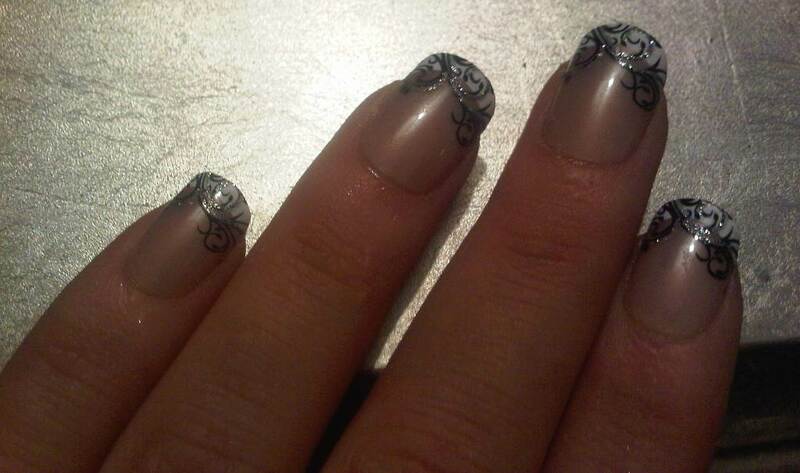 The kit is complete with the necessary nail glue and they looked really natural when on - very, very nice! My sister didn't take long to apply them and said it was very easy.. The only thing that she did do was 'round' them up a little as she wasn't overly keen on the squareness of them. The photo above shows them 'rounded' a little. These are little rhinestones in assorted sizes (1 sheet) and come pre -glued so you all need to do is place on top of dry nail polish and then seal with a top coat. Again, these were easy to use and I loved the end result. 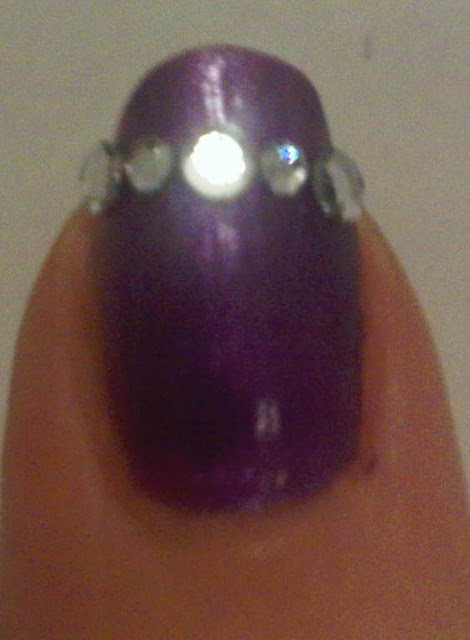 Underneath the nail art I am wearing OPI's Purple with Purpose - I think it sets it off nicely. I think these are just perfect for the party season! 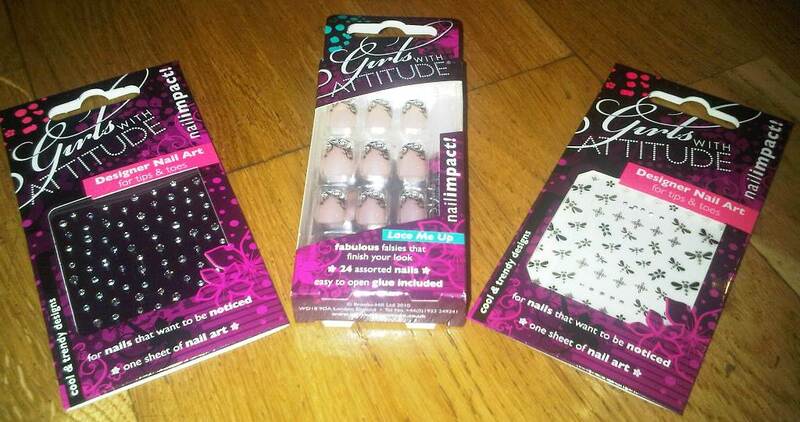 These products are available from www.girlswithattitude.co.uk and start from just £2.50. 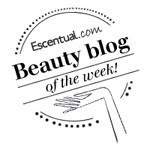 There is a huge selection of Nail Art, Nails and Lashes to choose from. Also available from Boots and Superdrug stores. Not normally a huge fan of nail art but I like these! 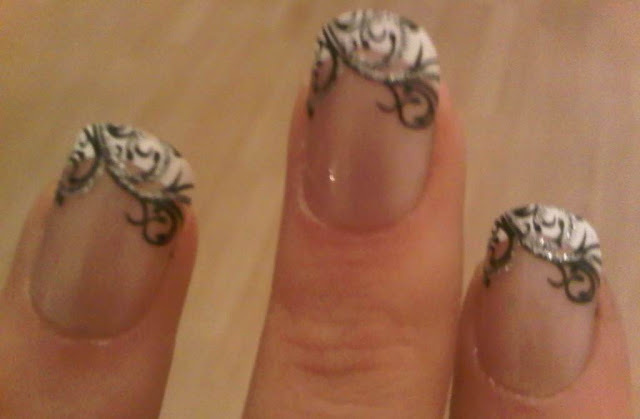 ohh i love nail art, these are gorgeous!! love the lace! !